Hope this is not too basic a question. For headphone use only for the purpose of serious piano practice for a college student minoring in piano performance, is there any advantage to getting a CA 67 or CA 97 over the MP11? And any advantage of the MP11 other than cost and ease of moving over either of the CA 67 or 97? And is there advantage of CA 97 over the CA 67 in this scenario? Certainly, having the most 'realistic' piano sound over the headphone would be nice. Last edited by faulhorn; 12/28/16 05:56 AM. Slightly more voices, and stuff like that, but the key action and sampled sounds for the grand pianos should be identical between the CA67 and CA97. As RickardNi notes, the CA97 and CA67 will sound identical through headphones. The MP11's 'Concert Grand' sound will very sound similar to the CA97/CA67 'EX Concert' sound as it's based on the same samples. However, the CA97/CA67 feature additional 'Undamped String Resonance' and 'Cabinet Resonance' Virtual Technician parameters, along with the 'Spatial Headphone Sound' function which enhance the depth and realism of the sound. There are also the latest Shigeru Kawai SK-EX and SK-5 sounds that are not found in the MP11. The MP11 is a stage piano, and therefore more geared towards live performance. It offers greater flexibility in terms of adjusting, shaping, and layering sounds, and is also an excellent MIDI master controller. 20 additional sounds (and some extra sound demos) on the CA97, however if you do not intend to use the built-in speakers and soundboard, the CA67 is perhaps the more sensible choice. In this case my recommendation would be for the CA67. Firstly, there is no such thing as: the most realistic piano sound OR the most realistic piano action. This is because, acoustic pianos have a variety of sounds, actions, characteristics which make them unique. The correct question to ask is: what piano sound/action does he use currently, and which digital piano gives the closest match to his tastes. Maybe he'd prefer the sound/action of a digital piano because they are different to what he normally plays (maybe better, maybe just different). On the other hand, maybe he would prefer consistency. All of this means that he needs to test these pianos himself. Only then will he know what he likes. The question also implies that one instrument might be better than another with headphones. However, which headphones he has might make a much bigger difference. 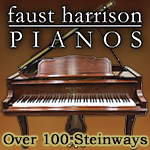 There are lots of posts on this forum you can search through on which headphones work best with digital pianos. Great: Kawai Grand Feel II action, the action in the Casio GP500 (which I have not tested so won't comment except to say it might be better than the Grand Feel II, or not). A step below but still great: Roland PHA-50, Kawai Grand Feel 1 action, Kawai RM3 Grand II' keyboard action, Yamaha NWX. Other very good actions: Kawai RMIII, Kawai RMII actions, Roland PHAIV pro action, Yamaha NW-GH. b) High quality sampled sounds that use modelling for various piano characteristics e.g., the Yamaha, Casio, Nord, Kurzweil and Kawai pianos (well, everybody else basically). 2) VST (virtual studio technology) - basically the use of a laptop and software to create the sound. 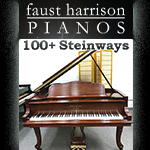 b) Multi gigabyte sampled pianos e.g., Ivory II or Imperial Vienna and many other examples. Now, if you find the action you like best, you can get the piano sound to suit your tastes using a laptop or PC desktop computer along with a sound-card and a VST piano. This makes the choice slightly easier, as the on-board sounds won't be the deciding factor. The advantage of the MP11 is that it is more portable, so if your offspring moves around from digs to digs, it's easier to move also. The disadvantage is that the MP11 has only the GrandFeel 1 action (still a cracking action), and is missing the Siguru pianos that the newer model you mentioned have. However, the EX pianos in the MP11 are still very good. Like I said, it's easily possible to supplement sound via the use of a computer with VST software and get a better sound than available from the on board setup. Therefore, concentrate upon the action primarily. Personally, if I was having money for a Kawai digital, I'd take the CS11: it has a better speaker placement and soundboard than the CA97 resulting in a better sound with equivalent action. 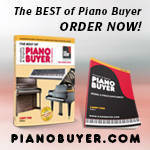 Let's look at your potential digital piano shopping list. 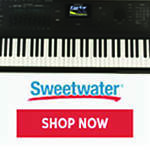 Kawai MP11/MP7, Kawai VPC1 plus laptop and VST, Kawai ES8; Roland Roland V-piano, Roland FP-90, Roland RD800; Yamaha CP4, Yamaha Montage; Korg Kronos, Korg SV-1; Nord Piano 3; Kurzweil Forte 8; Physis piano (By viscount); Casio PX-560. Please note: both sound quality (in tone) and piano action are highly subjective to the user!! This is why testing beats opinion. Last edited by Doug M.; 12/28/16 07:51 AM. The action key of CA 67. I would personally prefer to hear a little more depth on the reverb applied to that piano sound, however. I enjoyed your performance. I'm sure you can pick holes in it. There is only so much you can do to improve a reproduction of a song before only experts will notice differences; however, you could modify the tune to make it your own ;-). I've heard many talented pianists, but the creative ones are 1 in 1000. Last edited by Doug M.; 12/29/16 09:44 AM.